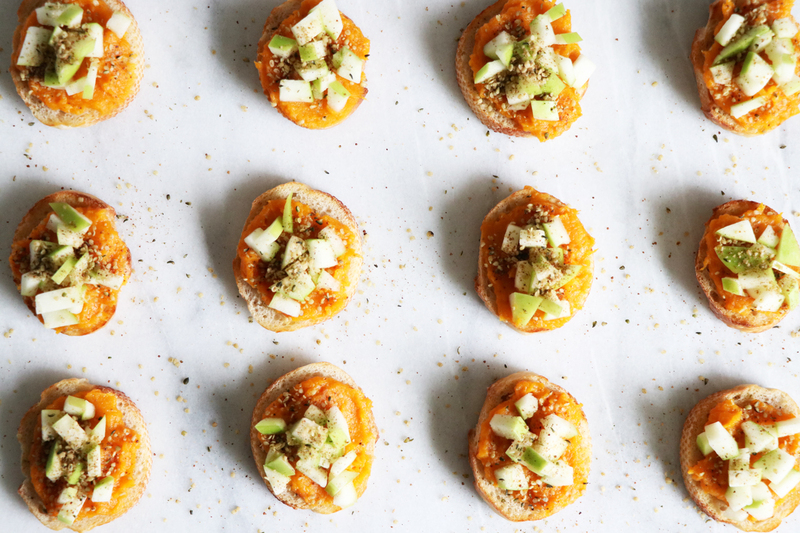 Today I’m sharing 3 recipes made with Butternut Squash featuring Manitoba Harvest’s NEW Hemp Toppers! 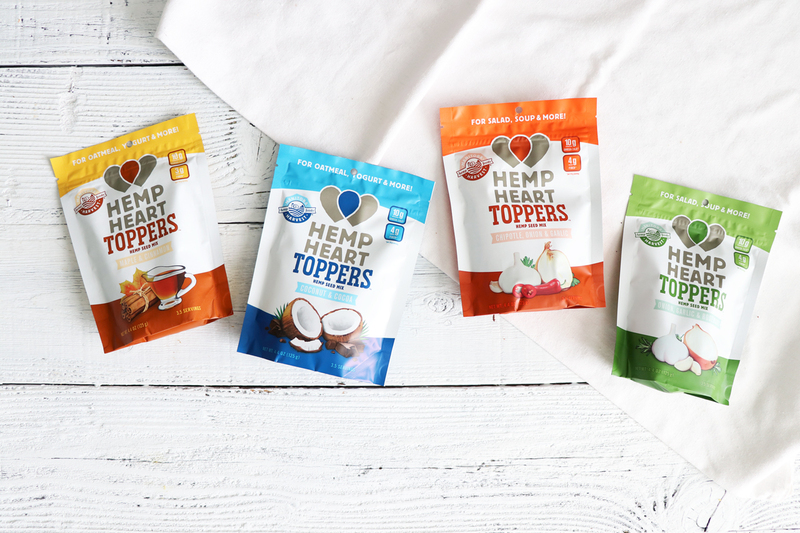 If you’re a fan of Hemp Hearts (also known as Hemp Seeds) you will LOVE these new toppers! 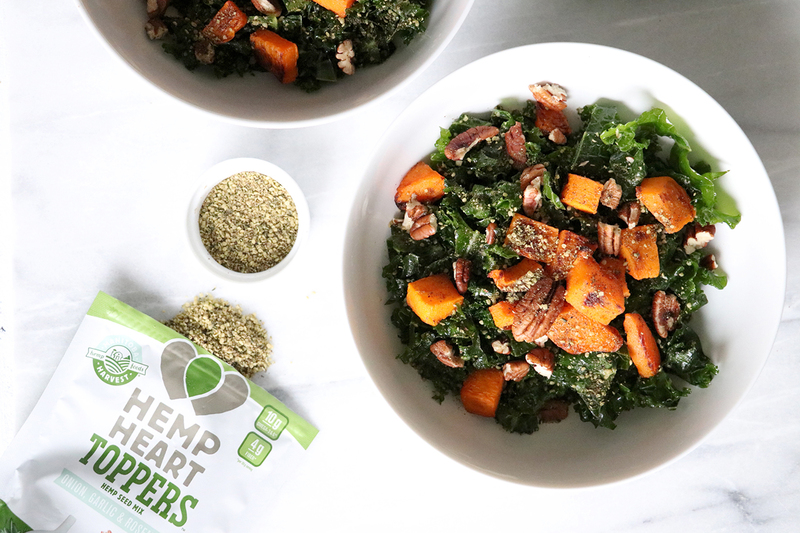 Hemp Heart Toppers are a nutritious and delicious blend of Hemp Hearts, HempPro Fibre®, and organic ingredients! 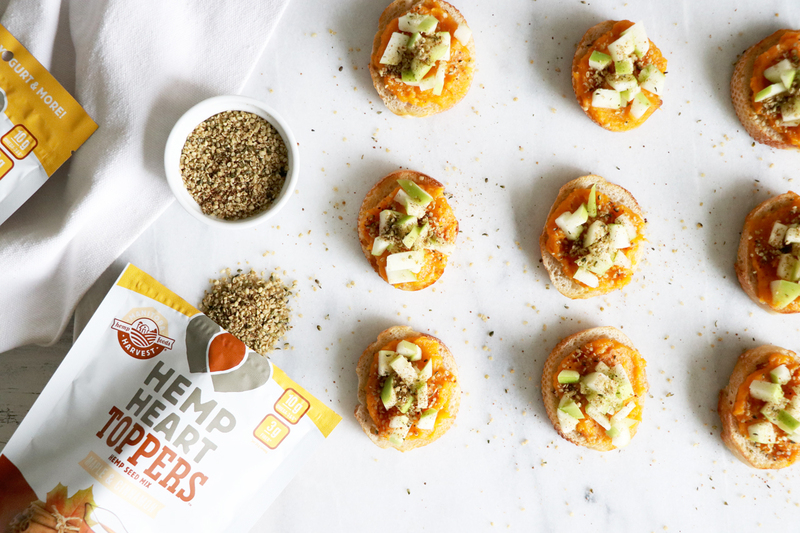 With 10 grams of protein and 10 grams of omega-3 and omega-6 per 35-gram serving, Hemp Heart Toppers are the perfect way to top off your favorite meals. 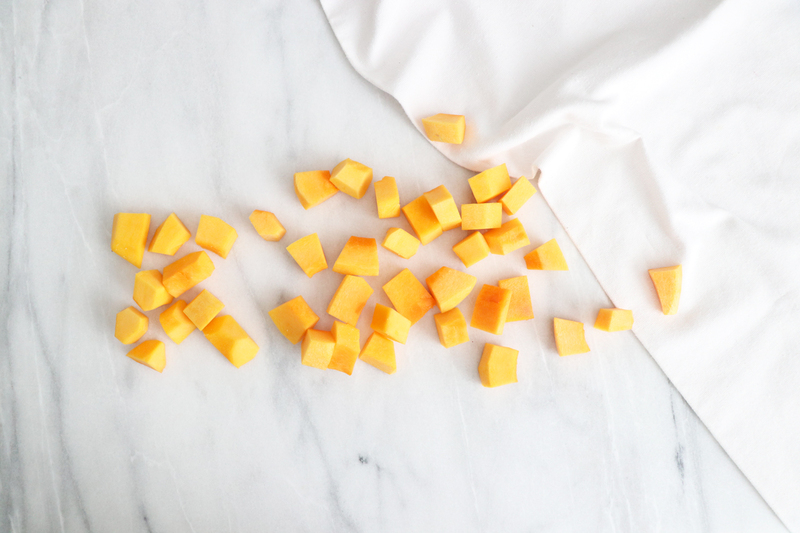 There are four tasty flavours to choose from, the possibilities are endless! Watch today’s video to learn more! 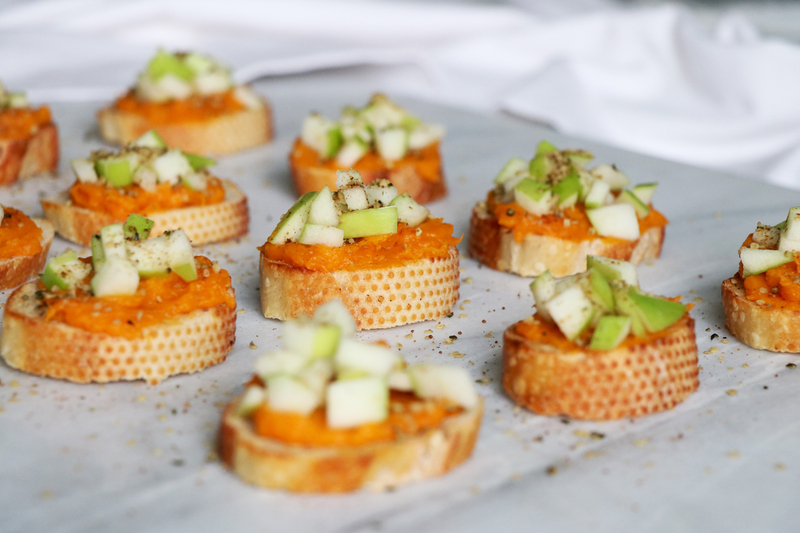 Lay out the each piece of toasted bread and top with squash, green apple and Manitoba Harvest: Maple, Cinnamon Toppers. Enjoy! 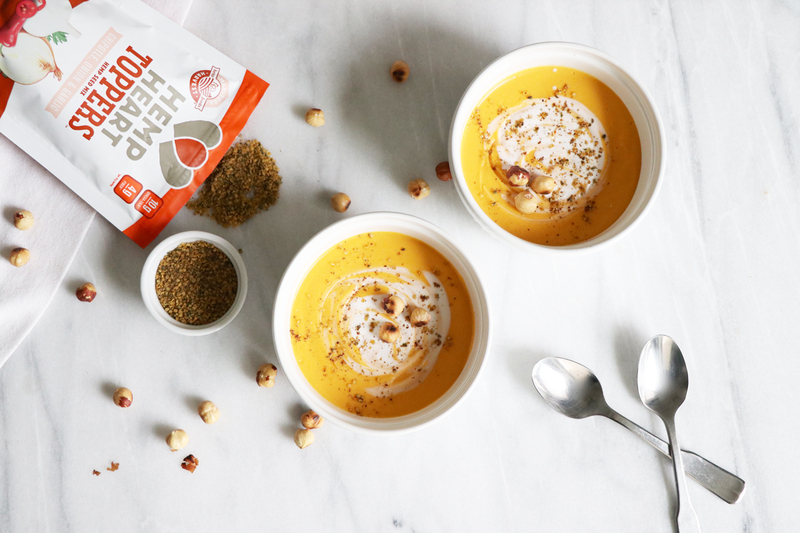 Serve topped with a drizzle of coconut milk, toasted hazelnuts & Manitoba Harvest Chipotle, Onion & Garlic Toppers! 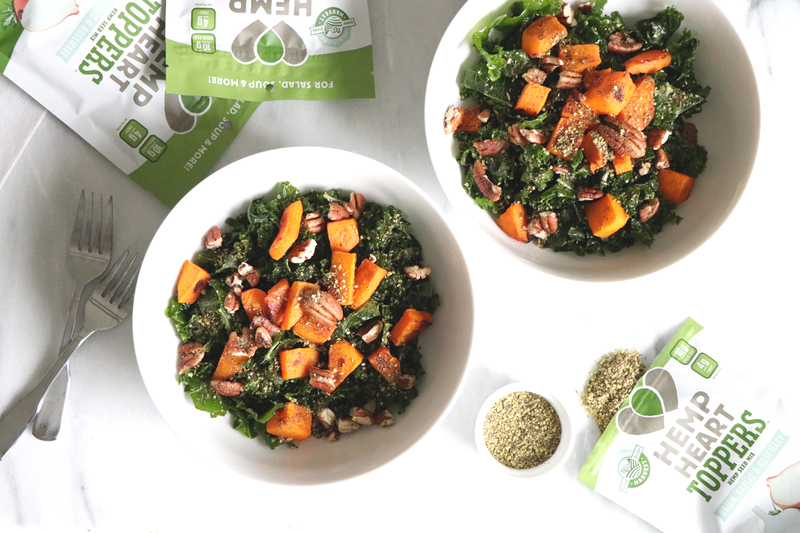 In a large bowl add the kale, olive oil, lemon juice and sea salt, with a clean hand massage everything together. 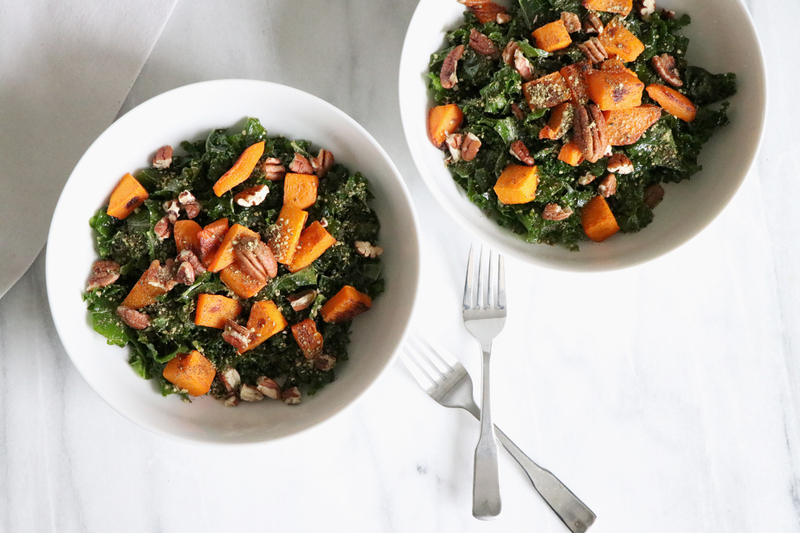 This will soften the kale and help it soak up the flavor of the dressing. 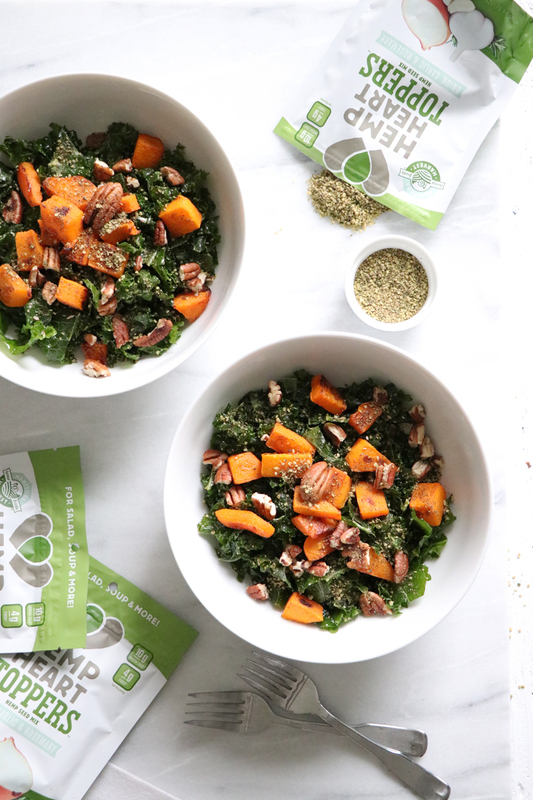 Serve the kale topped with pecans, roasted squash and the Manitoba Harvest Onion, Garlic & Rosemary Toppers! 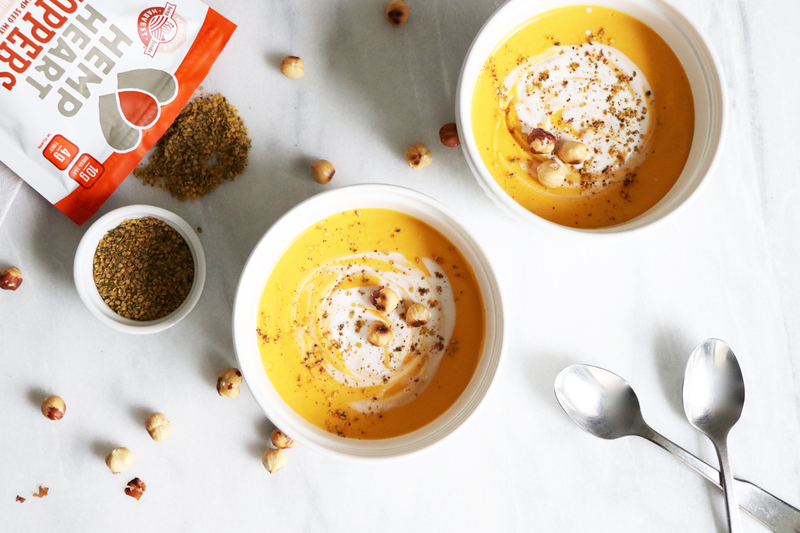 Disclosure: Healthy Grocery Girl & Megan Roosevelt, RDN are an ambassador for Manitoba Harvest. 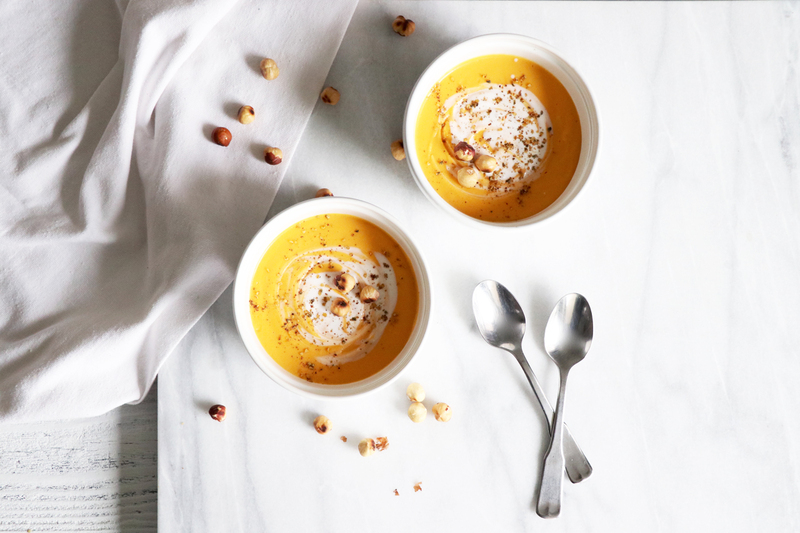 This post & video is Sponsored by Manitoba Harvest.